Exotic texture and drought tolerance make these two clusia varieties - rosea and guttifera - outstanding and unusual plants for home landscapes. 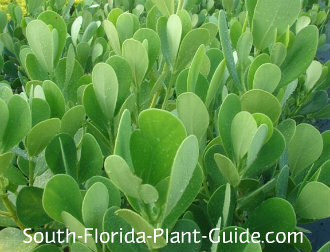 The foliage is this plant's feature characteristic - leaves are thick and leathery, shaped like fat teardrops or paddles. Low-maintenance and trouble-free, these plants branch out close to the ground and can get very wide. 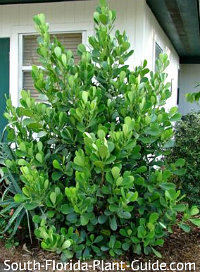 They're excellent as hedges, large accent plants, or grow them as a wall of privacy and/or shade. Rosea is also known as "Pitch Apple." 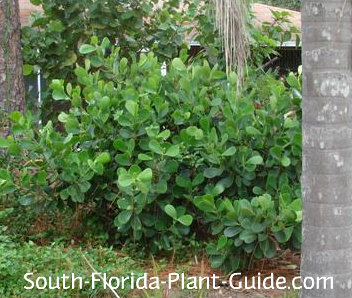 With the biggest leaves, it's often grown as a small tree or you can grow it as a very wide shrub. If you choose the tree-form, buy one already trained to a single trunk. These shrubs are sometimes called Autograph Tree or Plant because you can scratch a name or initials onto a leaf and it will stay there forever...or as long as the leaf remains on the plant. 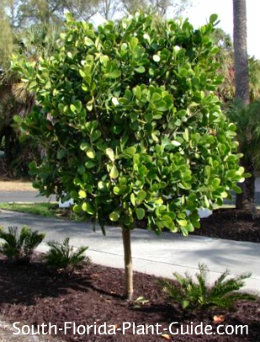 Guttifera can be a lovely hedge or accent and is occasionally available in tree-form as well. There is also an appealing dwarf variety you can use as a small shrub. 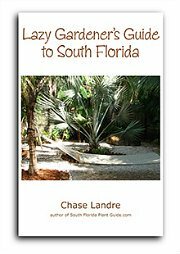 These plants rarely flower, other than in the warmest areas of Zone 10. Flowers are pale pink and appear in summer. Rosea gets very big - as a shrub you can keep it 8 or 10 feet tall and wide. As a tree, you may want to let it grow as much as 25 feet. 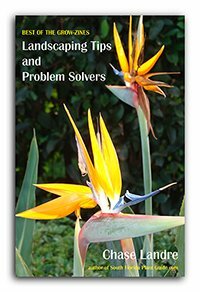 Or trim it more often to keep the plant shaped - with branch trimming only, never cut across foliage. Because these shrubs spread out wide, place them about 5 feet apart. 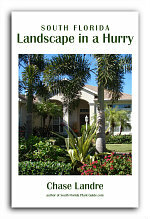 Give nearby shrubs plenty of space so they won't be overtaken. Come out from the house about 4 feet or more. If you grow rosea (or guttifera) as a tree, you can underplant smaller things fairly close to the trunk. These make excellent container plants, especially nice in large pots by the pool or on the patio. A.K.A. (also known as): Rosea - Pitch Apple, Autograph Tree. Guttifera - Small Leaf Clusia. COMPANION PLANT SUGGESTIONS: Use with other drought-resistant things like muhly grass, crown of thorns, Texas sage, agave, baby sun rose, desert rose, Madagascar palm, mid-size bougainvillea, and cycads.